The online version of this article ( https://doi.org/10.1007/s00429-019-01869-x) contains supplementary material, which is available to authorized users. We would like to thank Tristan Chaplin and Piotr Majka for generating the 3D map of cytoarchitectural areas of the marmoset brain derived from the atlas of (Paxinos et al. 2012). Our gratitude goes to MRI platform (INSERM UMR1214) for their priceless assistance. We also thank the staff of the CerCo animal rearing facilities and Emilie Rapha for their help with animal preparation and monitoring. 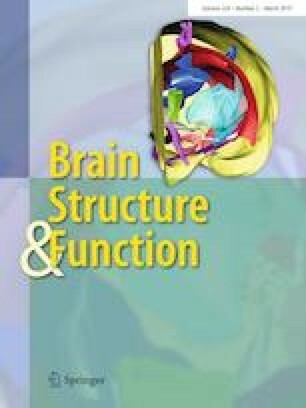 This work was financially supported by the University Paul Sabatier, Toulouse 3 (AO1 MST2I_2013) and the Toulouse Mind and brain Institute (TMBI, AO2015). A.S. Ph.D. was Granted by University Paul Sabatier/Toulouse 3 and Foundation for Medical Research (FDT20160435166). The participation of MGP Rosa was funded by the Australian Research Council’s Centre of Excellence for Integrative Brain function (CE140100007). All applicable international, national and/or institutional guidelines for the care and use of animals were followed. All procedures performed in studies involving animals were in accordance with the ethical standards of the institution or practice at which the studies were conducted. The project received the regional (MP/03/76/11/12) and the governmental authorization from the MENESR (project 05215.03).